Well, Batfans- the results are in! This year for March Madness, Sideshow wanted to know- in the DC movie universe, who would you cast as the next Batman? We put the challenge to you to narrow down the choices and tell the world who you thought the next dark defender of Gotham City should be. 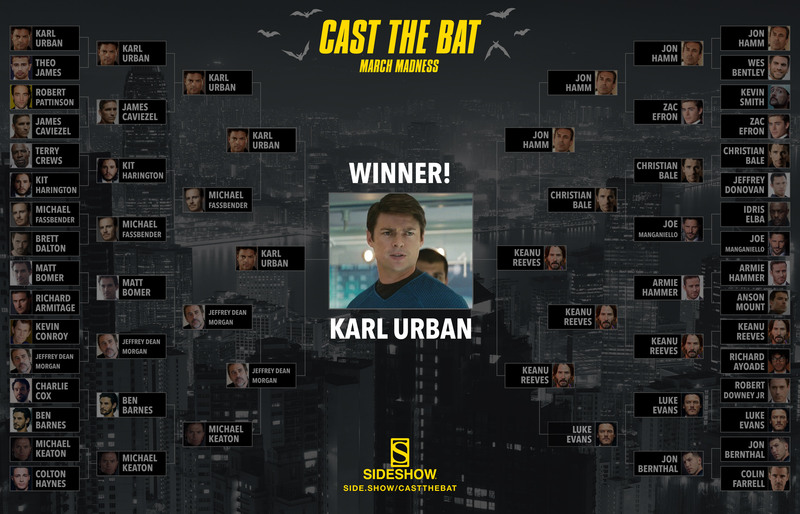 Our tense final round of voting came down to two candidates worthy of the cowl- Keanu Reeves and Karl Urban- but the bat-signal could only shine for one of them. Behold, your fan-favorite pick for who should be cast as Batman! Karl Urban beat countless of other contenders to rise to the top as your choice for the next Dark Knight. So, what do you think? Take a look back at all the brackets below and see which rogues he defeated on his path to victory. Check back on our previous voting rounds to see how your favorite matches stacked up. 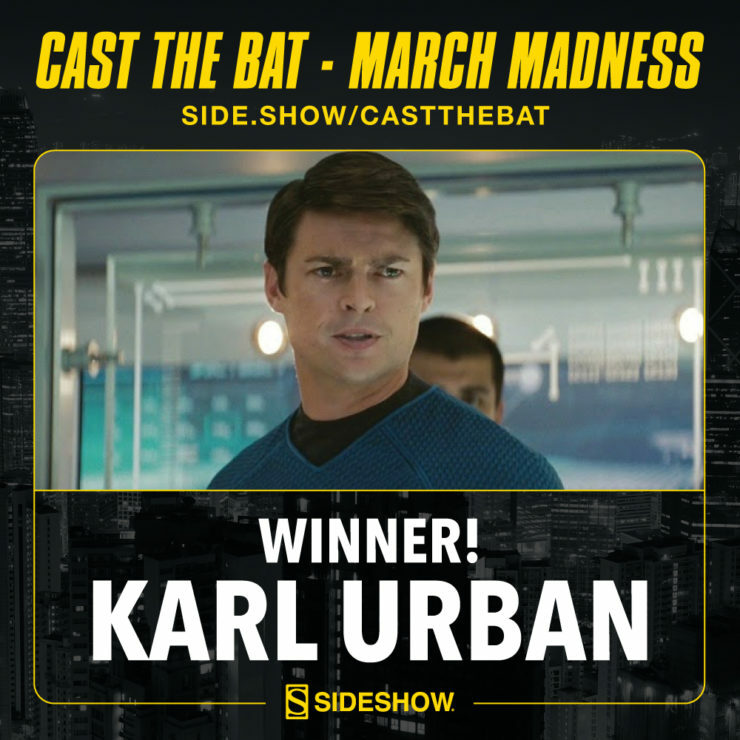 Was Karl Urban your top choice? Or is there another actor you were hoping to see get picked to take up the keys to the Batmobile? Let Your Geek Sideshow and tell us your choices in the comments below! If you’re looking to cast Batman in your own collection, be sure to check out our full lineup of DC Comics collectibles.